For the first time, the Albanian girls’ choir from the lyceum »Jordan Misja« in Tirana visited the German capital. From 15th to 19th of June 2017, 39 girls between the ages of 11 and 20 were guests at the Berlin Girls Choir. Highlights of the concert tour included personal encounters in the host families, a joint workshop on Friday, June 16th, in the Lindenkirche, and on Saturday, June 17th, at the IGA as part of »Choirs in the park«. 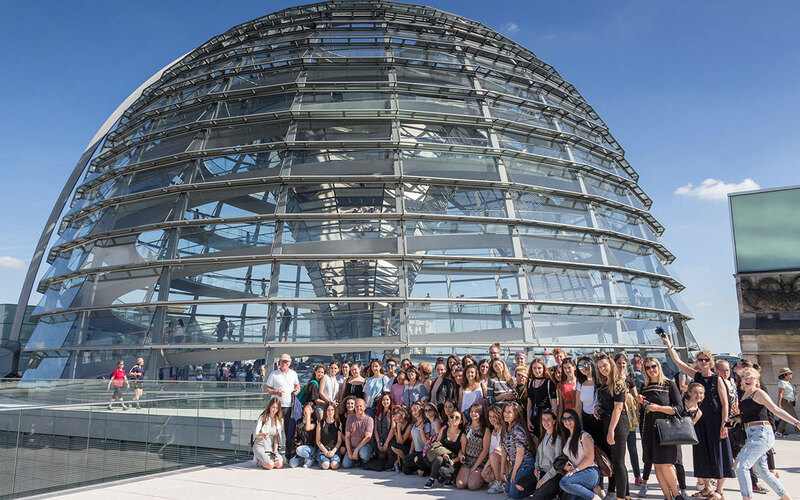 In addition, the girls from Berlin and their guests visited the Reichstag dome together on Sunday, June 18th, before singing in front of the Reichstag on the banks of the Spree. The spontaneous open air concert caught the attention of many passers-by. The exchange should be continued. A return visit of the Berlin girls choir in Albania is planned.